CRPP Statement on the conviction and life sentences by the Gadchiroli Sessions Court of MAHESH TIRKI, PANDU NAROTE, HEM MISHRA, PRASHANT RAHI, VIJAY TIRKI AND GN SAIBABA! CONDEMN THE CONVICTION OF MAHESH TIRKI, PANDU NAROTE, HEM MISHRA, PRASHANT RAHI, VIJAY TIRKI AND GN SAIBABA! CONDEMN THE PENAL STATE THAT CRIMINALIZES POLITICAL IDEAS, DISSENT AND THE RIGHT TO PROPAGATE IDEAS IN A DEMOCRACY! REPEAL UAPA AND ALL OTHER DRACONIAN LAWS! The Gadchiroli sessions court judgment on Mahesh Tirki, Pandu Narote, Hem Mishra, Prashant Rahi, Vijay Tirki and GN Saibaba (all accused in order) under Sections 13, 18, 20, 38 & 39 of the draconian Unlawful Activities Prevention Act (UAPA) read with 120-B of the IPC goes a long way in the acts of the entrenchment of a deep national security state ready to penalize anything that it seems a threat to the powers that be. More than the law the 827 odd page judgment is a testimony of how far the lower courts in India are easily malleable to the pulls and pressures of a police state that turns its back to the merits in the detail of the case to draw the fine line between what is primarily and legally beyond suspicion in the commission of the said offence to something that is and can’t stand the rigour of legal scrutiny. 1. It is beyond comprehension as to why the learned judge overlooked the fact that several entries in the notebook of the Malkhana where the seized items are kept in sealed covers with proper entry has been taken out and alleged seized items from Mahesh Tirki was taken out at the behest of the Investigating Officer. It is important to cite this as the judge has relied a lot on the seized material from all the accused for arriving at this conclusion. The clerk Mr. Ganesh Keshav Rathod who was working as the Muddemal Moharir (property clerk) dealing with the Malkhana admits in cross examination that there is no entry in the Muddemal registry about the handing over of 3 pamphlets to police inspector Anil Badgujar and further there are over writings in the register at two places which was made by him. He also admits that there is no mention that the property was sealed nor about the make of the seal in the invoice chellan. All the electronic items allegedly seized from the residence of GN Saibaba was not sealed and the defence counsel of all the 6 Advocate Surendra Gadling has brought this before the court. The court has also been shown that no procedure has been followed when the seized material was given to the forensic department giving the police ample space to tamper with the electronic devices. The police have failed to produce the location chart of the mobile devices of Hem Mishra as it shows clearly where he was arrested from contrary to the claims of police that states that Hem Mishra was apprehended from Aheri, Hem Mishra was arrested from Ballarshah station the moment he got down from the train. Prashant Rahi was arrested from Raipur, Chhattisgarh, but the prosecution claims that he was arrested in Deoria, Maharashtra. When he was given bail the police had on record told the court that they did not have anything to oppose his bail. From page 51-69 of the judgment (para 74-94) the learned judge strives hard to show that the confessions made by Mahesh Tirki and Pandu Narote has weight as reflected in their sentence meted out to them, despite the defence counsel in the cross examination of the JMFC Nileshwar Vyas admitting that he failed to take notice of the complaint lodged by the two adivasis that they were coerced through violence into making the confession as he found it unnecessary having given them sufficient time to reflect on the same and that the complaint was lodged subsequent to the recording of the confession! JMFC N. Vyas is the same person who had issued a false search warrant with which the Maharashtra police raided the house of GN Saibaba at the Warden’s Flat, North campus, Delhi university. That search warrant was too mysterious as it talked about stolen property in the house of a wheel chair bound DU professor! The judgment right from the first page takes it for granted that Revolutionary Democratic Front (RDF) is a frontal organization of the CPI (Maoist) which is a proscribed organization. The grounds for such conclusions are perfunctory as the learned judge resorts to ideology than evidence in reaching this conclusion. Prima facie it is evident that the judge is overwhelmed by the ideology of the politics of war on terror and his judicial mind is affected by the transgressions of sentiments of a national security state than the law. It is enough for the judge that anyone who raises the slogan of Naxalbari ek hi raasta is no less an agent of the proscribed politics of CPI (Maoist). 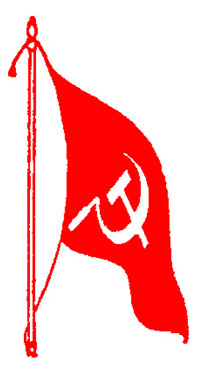 That this is a popular slogan in the parlance of Marxist-Leninist circles does not dissuade the judge to reach the final conclusion of branding RDF as a frontal organization of the CPI (Maoist). There are such startling anomalies in the judgment which is beyond the scope of this statement which we would definitely bring up later. But at the same time it was important to show a few instances of the intention of the court to overlook the due process of law in the collection of evidence and to arrive at scientifically to conclude beyond doubt the magnitude of the offence as spelt out through the sections 13, 18, 20, 38 & 39 of UAPA read with 120-B of the IPC. As usual a section of the media is out to prove how dreaded a person GN Saibaba was/is as a professor in Delhi University with his links running all over the subcontinent and internationally. There is an effort to demonize him and through that whitewash the travesty of justice meted out by the court. This act of demonization picking selectively from the judgment where the judge is indulging in sensational rhetoric than law to deny him the basic rights and care needed for a ninety-percent disabled is highly reprehensible. How can a judge make such sweeping statements in a judgment that can at best only stoke emotions than any rational feeling when there is a proper established international law on the Persons with disabilities not to say about an elaborate body of legislation on the same in India?! Giving facilities to GN Saibaba in prison is not any special treatment but his basic right as per the law. The media has also gone to the extent of spreading blatant lies like GN Saibaba, when asked by the court if he needed any medical treatment had submitted that he did not ask for any such requirement! This is in the context of an additional application filed by his lawyer Surendra Gadling requesting the court to consider the fragile health of GN Saibaba and ensure the continuation of medical treatment as he was advised for further treatment after getting discharged recently from a Delhi hospital. Further the media is spreading the lie that it was based on the confession of Hem Mishra, that Saibaba was apprehended by the police. There is absolutely no such confession made by Hem Mishra. As pointed earlier it was with a false search warrant issued by JMFC N. Vyas that the Maharashtra police raided the house of GN Saibaba at the Warden’s flat. It is important that all democratic forces raise their voice against such vilification of the condemned as only resistance to such designs of vilification and criminalization of ideas and associations can ensure justice to Mahesh Tirki, Pandu Narote, Hem Mishra, Prashant Rahi, Vijay Tirki and GN Saibaba.